Cleaning the carpet at home may seem trivial, and indeed it is. There is nothing complicated about busting out the vacuum cleaner and dealing with the dust ingrained within the fibres. There is no doubt that the chore seems easy, but the thing about it is that vacuuming alone doesn’t cut it. Even if you invest time and energy, dust will still find its way in the carpet pile. The only way to ensure that your carpets are thoroughly cleaned is to hire professional carpet cleaning service. 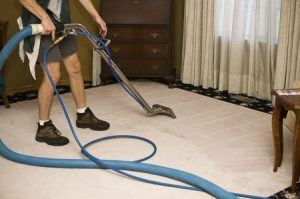 The Top Carpet Cleaning is your best option in that regard. We provide excellent carpet cleaning in St Johns Wood and all other London areas. Fast and easy booking process. Our company utilises green cleaning methods and overall has adopted an eco-friendly approach. The deal with steam carpet cleaning is that it only uses water to address the dirt and dust within the carpet fibres. That way there isn’t any harmful effect on yourself and the carpet. This carpet cleaning method is highly effective in that it completely removes the ingrained dust within the carpet. You can expect it to look as brand new once our carpet cleaners finish with the service. More importantly, there will be no allergens on the carpet as it will be thoroughly refreshed. You can hire our expertise by contacting 020 3322 8944. Carpet cleaning is usually simple enough, but sometimes you will not have any time to address it. Coupled with the fact that carpets do need some steam cleaning from time to time, you really need to consider The Top Carpet Cleaning. Our company can address the job for you in minimal time. The most wonderful thing is that you only need to contact 020 3322 8944. It only takes about a minute to book the best carpet cleaners for your home. That is how we guarantee that you will have more time for yourself. Contact us today, see our great offers in St Johns Wood and you will see why they call us the best. St Johns Wood is currently one of the more affluent London areas. It sits on the northwest side of Regent’s Park and is entirely within the City of Westminster. The name of the area is partially derived from The Great Middlesex Forest and the period of the Middle Ages when the Knights of the Order of St John of Jerusalem owned the area. The affluent area of today first started to emerge in the 1840s. The architectural style is dominated by semi-detached villas. This was a great change from the terraced houses that dominated the other parts of London. To quote architectural historian Sir John Summerson, this style was “a revolution of striking significance and far-reaching effect.” One of the most famous landmarks in St Johns Wood is Abbey Road Studios, where the Beatles recorded. Abbey Road street and its zebra crossing is a famous location where tourists like to recreate the cover of the album Abbey Road. The best carpet cleaning in St Johns Wood is now available for hire. You can contact The Top Carpet Cleaning either online or by simply calling 020 3322 8944.